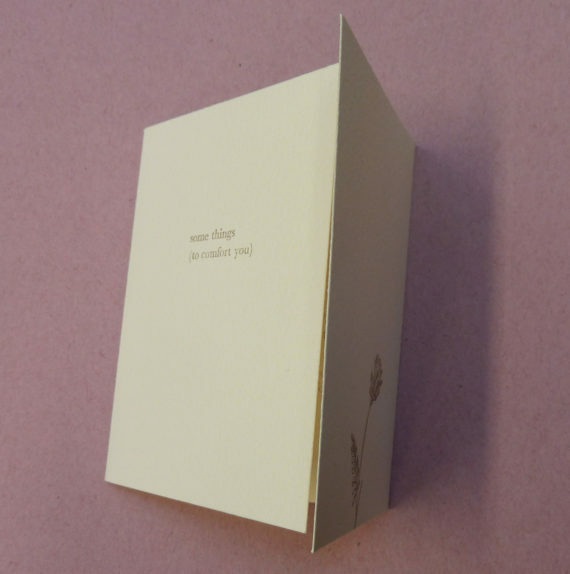 Elizabeth Willow specialises in producing limited edition, letterpress printed artists’ books and prints that are contemplative of nature and take everyday encounters as their subject matter. Willow has a fine eye for noticing beauty in the seemingly insignificant, reminding us, through her artworks, that small things in life can be of great comfort and enjoyment. Liverpool-based Willow has been artist-in-residence at Hot Bed Press in Salford since 2012, where she also teaches letterpress courses. 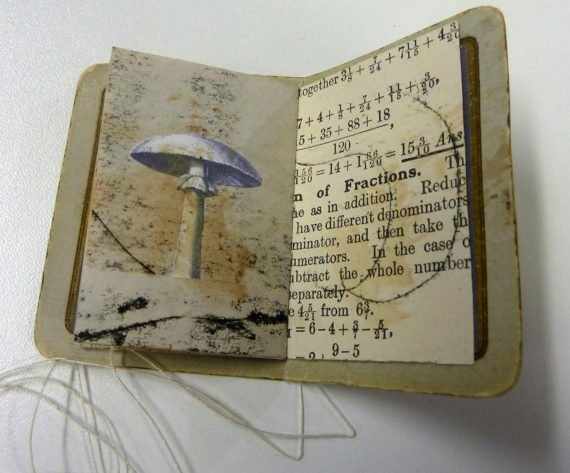 Often working with found objects, she creates bookworks that may include feathers, thread, coins, shells or buttons, as she explains “using paper and ink, glue and thread, lead and ether”. In The Reverend Hodgson has a small daydream, for example, she collaged found imagery and used miniature cards for its covers. 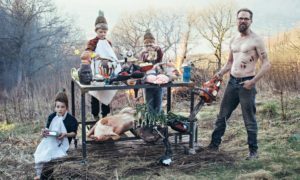 Willow’s books are beautifully produced as tiny, intimate objects that can be slipped into a pocket, carried and cherished. Most are no larger than around 12x 6cm, and some as tiny as 6x3cm, and filled with drawings, ornament patterns and letterpress printed prose. Willow’s delightful book Goosegogs is created in three perfect shades of gooseberry green, echoing the fruits at their best, an excerpt from the poem inside reads: ‘They appear; as if wanting them made them be; round and ripe and stripen, and green as green.’ These texts create visual, uplifting triggers. 1. 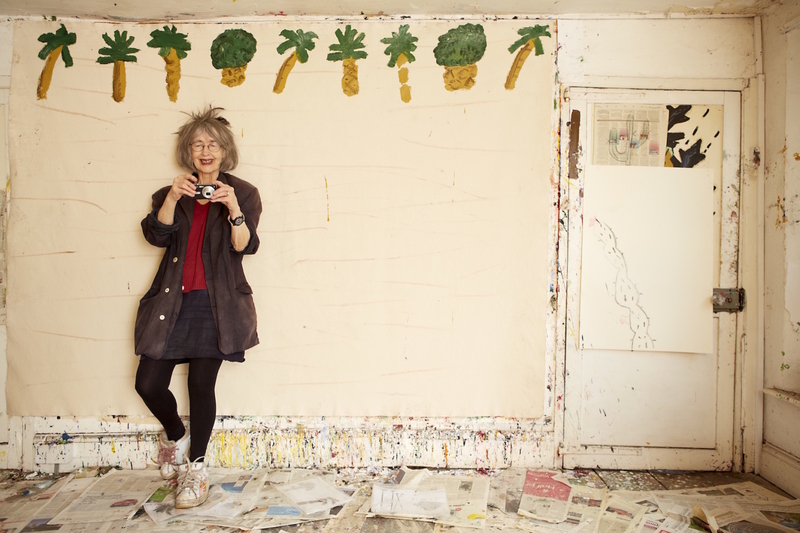 Elizabeth Willow, The Reverend Hodgson has a small daydream, artist’s book with found imagery and covers. 2. 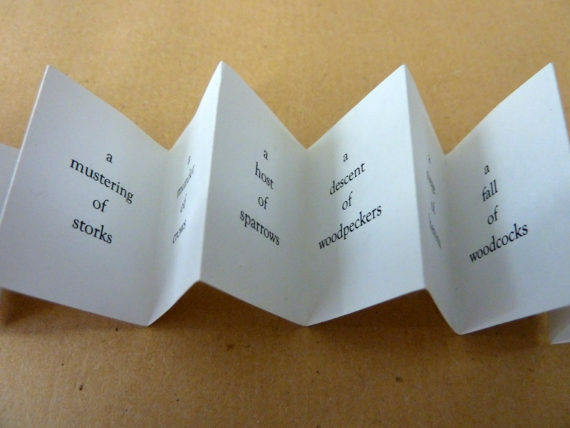 Elizabeth Willow, A dissimulation of birds, miniature artist’s book, 25x35mm. 3. 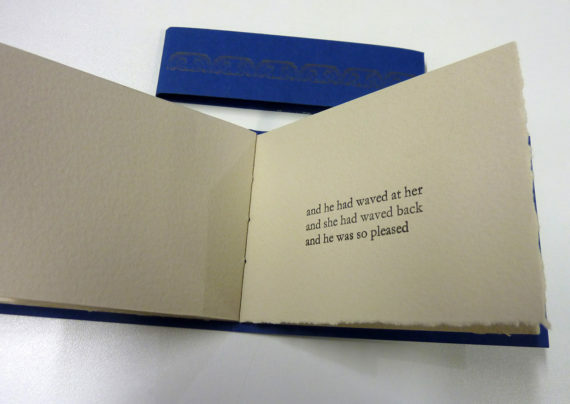 Elizabeth Willow, Goosegogs, letterpress printed artist’s book. 4. Elizabeth Willow, Waving at the Queen, letterpress printed artist’s book. 5. 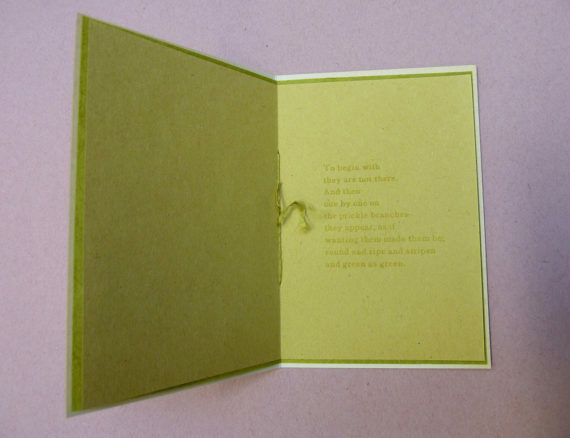 Elizabeth Willow, Some things (to comfort you), letterpress printed artist’s book.